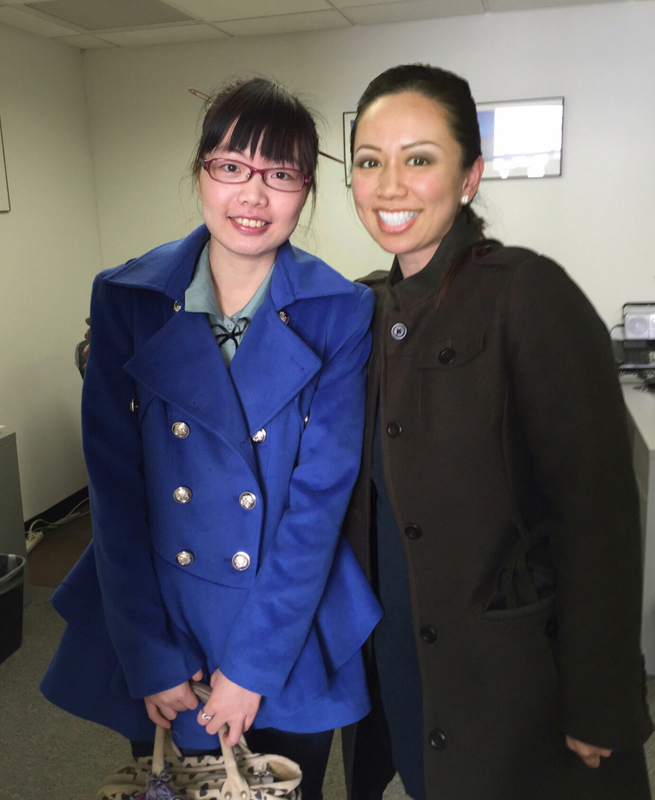 Mandarin Chinese Speaking Agent Eileen Hsu and her great buyer who just bought her first condo in Downtown New York. Congratulations! 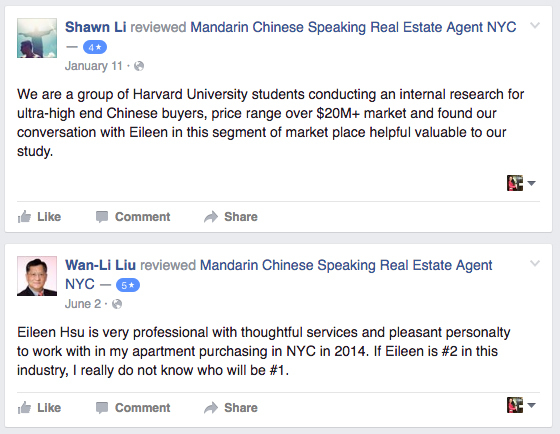 Mandarin Chinese Speaking Real Estate Agent Eileen Hsu and her buyer in his new condo in Downtown Manhattan New York. Phyllis Cheng – 我來自台灣, 因為女兒在紐約讀書想在Manhattan置產. 但是我對紐約地產行情一無所知. 幸虧有Elieen的協助, 她讓我去年6月在Chelsea找到一間我和女兒都非常滿意的房子. 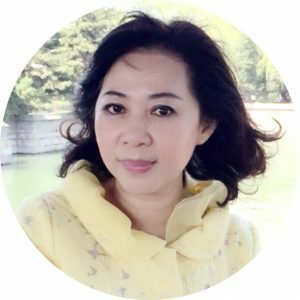 Elieen值得信賴: 他講話中肯, 不會為了成交就天花亂墜. 她適時提共意見, 讓我自行判斷, 讓我買到喜愛的房子也拿到不錯的價格. 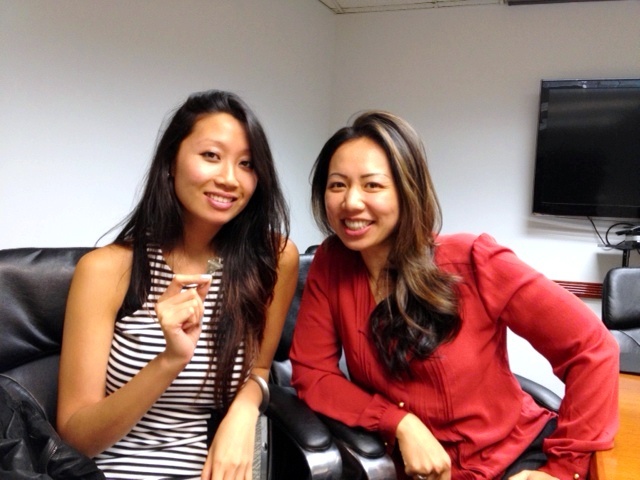 Yaen is a wonderful buyer found her first Manhattan New York condo in Midtown. 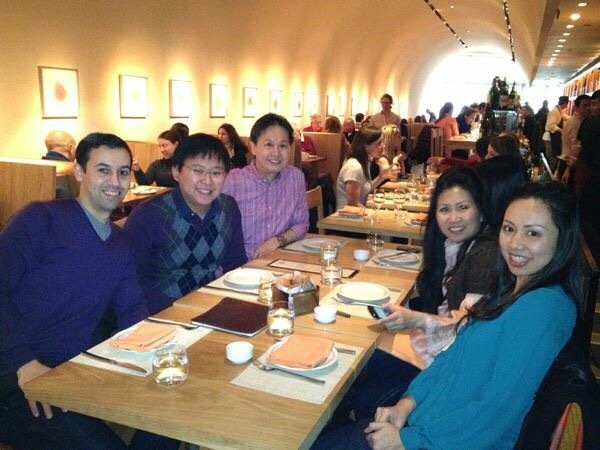 Having a meal with international parents who purchased a luxury condo for their son and daughter. 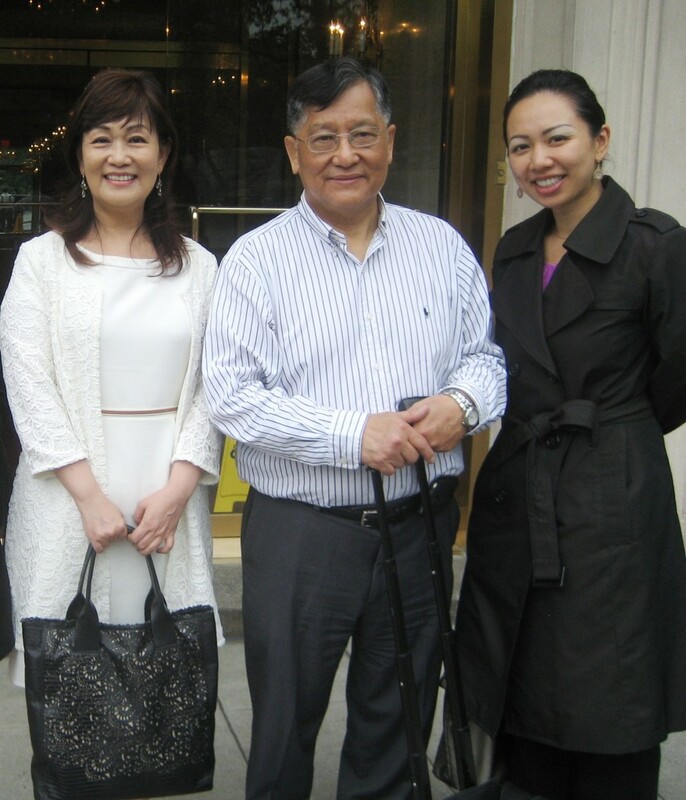 Dr. Liu and Mrs. Liu are a wonderful loving couple that found their second home in Manhattan New York. Congratulations to their new purchase and much happiness to come! Savvy and educated young buyer found his dream apartment in Manhattan New York. You need to know a fair value market value of a broken kitchen appliance in minutes for the refund negotiation on the closing table ? 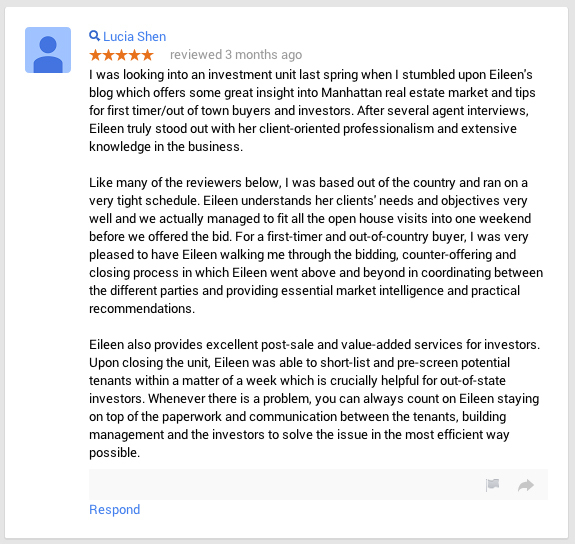 Luckily, I did a Google search and found Eileen’s team, and was confident that Eileen will be the one that could solve all my problems but my down payment. 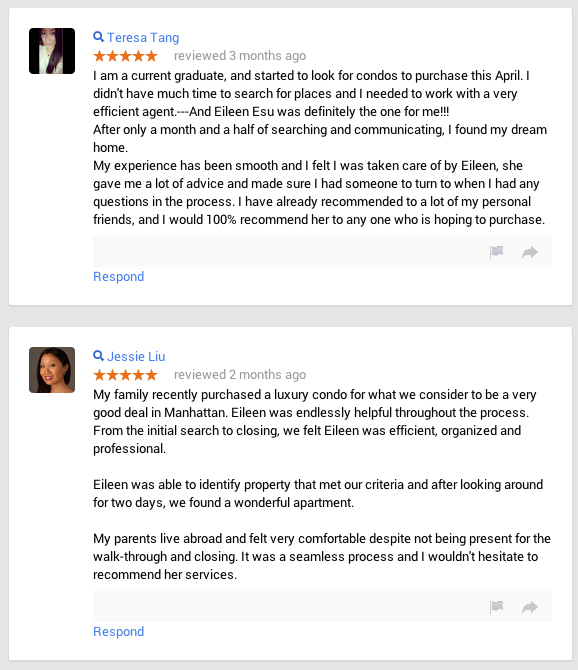 Indeed, Eileen and her team helped me to resolve all the above unexpected issues that I had encountered during my Manhattan condo purchase.